Happy Mother’s Day to all the Super Moms out there! Last year, I shared the garden markers that I made for my Mom as a Mother’s Day gift, and in keeping that tradition, I’m back to tell you about the gift I made for her this year! 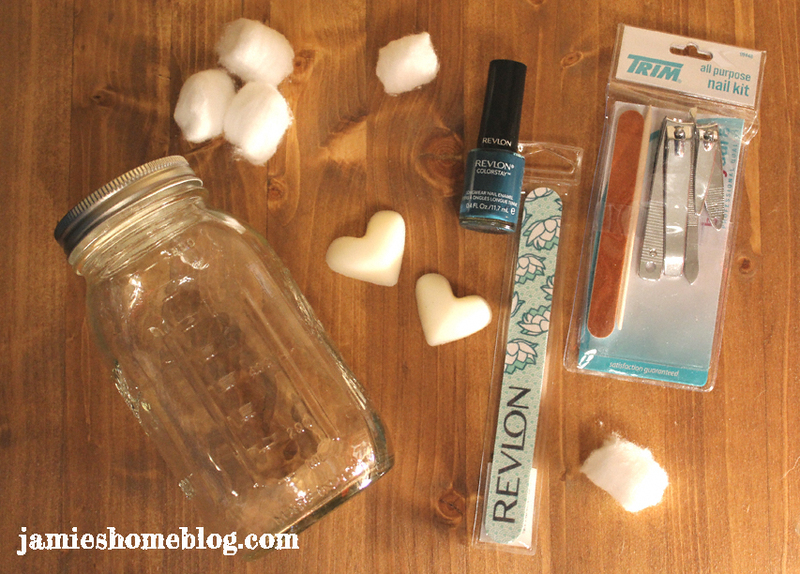 This sweet mani-pedi kit is so cute and really easy to personalize. Pick a polish color (or even two or three) that you know your mom likes, or even one that she might not normally try that suits her. 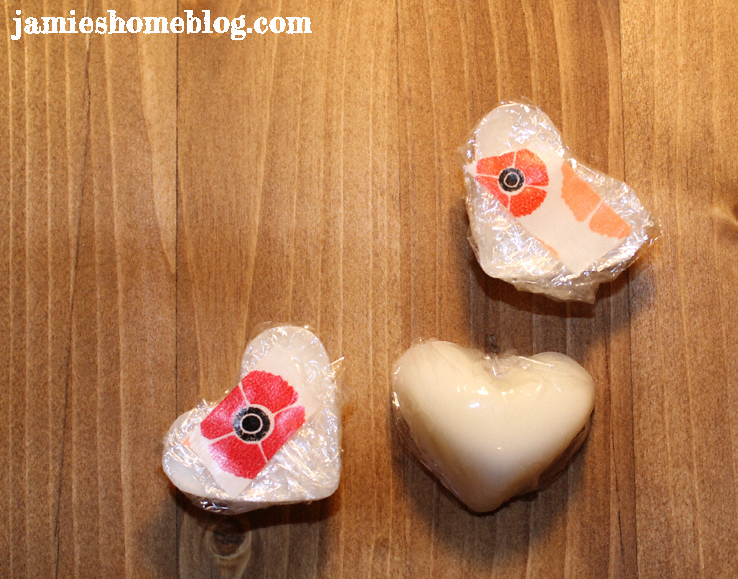 Lotion bars, like these I just posted, are a sweet handmade touch that any mom is sure to appreciate. The size I made is perfect for this set! I wrapped them in saran and secured the back with washi to package them. 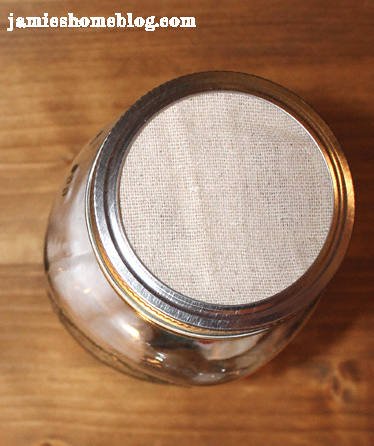 Just like I did with the sugar scrub that I made as Christmas gifts, I covered the lids of the mason jars with fabric. 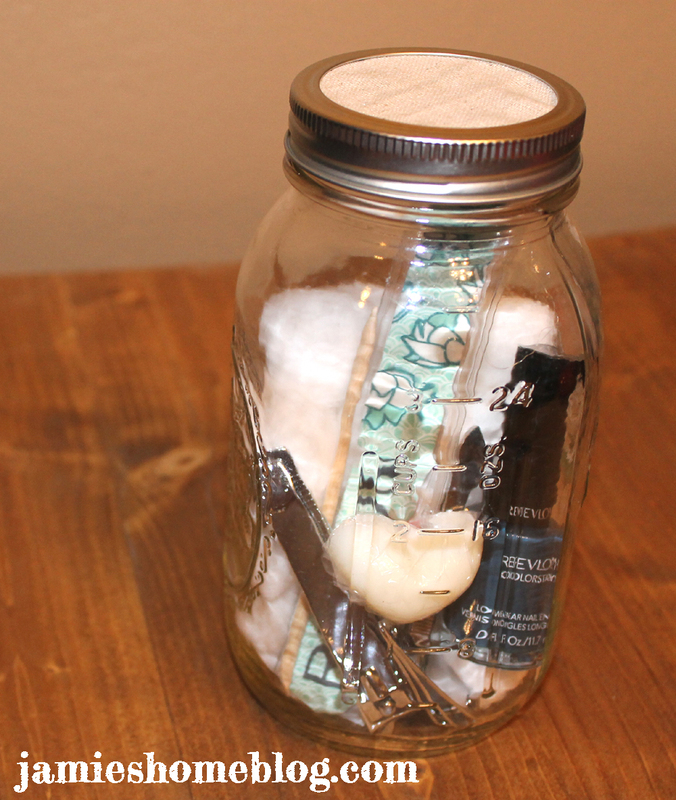 This is optional but makes the jar cuter, so why not, right? It’s as easy as purchasing the items and putting them in the jar, friends. 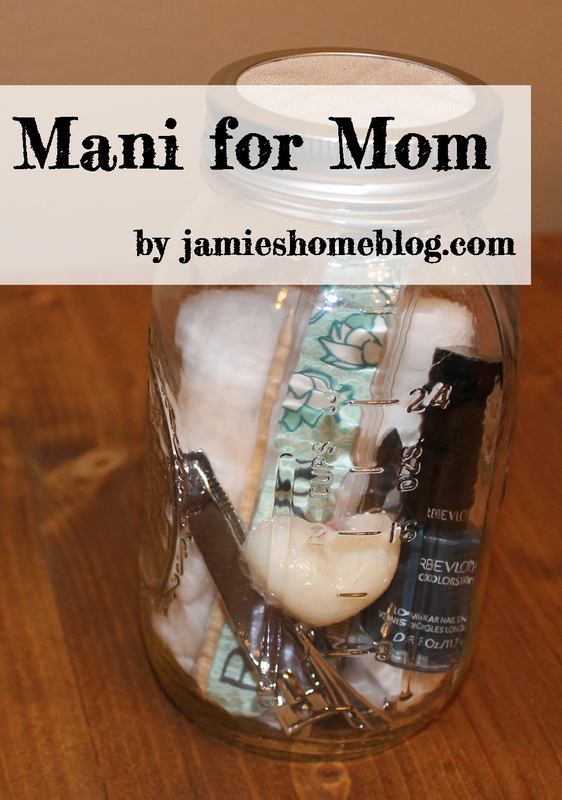 Finish the Mani for Mom jar by tying a name tag or card onto it with a cute ribbon or string. I used decorative baker’s twine and some plain note cards in which I stamped “Happy Mother’s Day” and “Mani for Mom”. Your mom (or whomever you choose to give this to) is gonna love it! I made three, one for my Mama, one for the fella’s Mama and another for his sis-in-law (who is the Super Mom to our adorable niece and nephew). They turned out so cute! 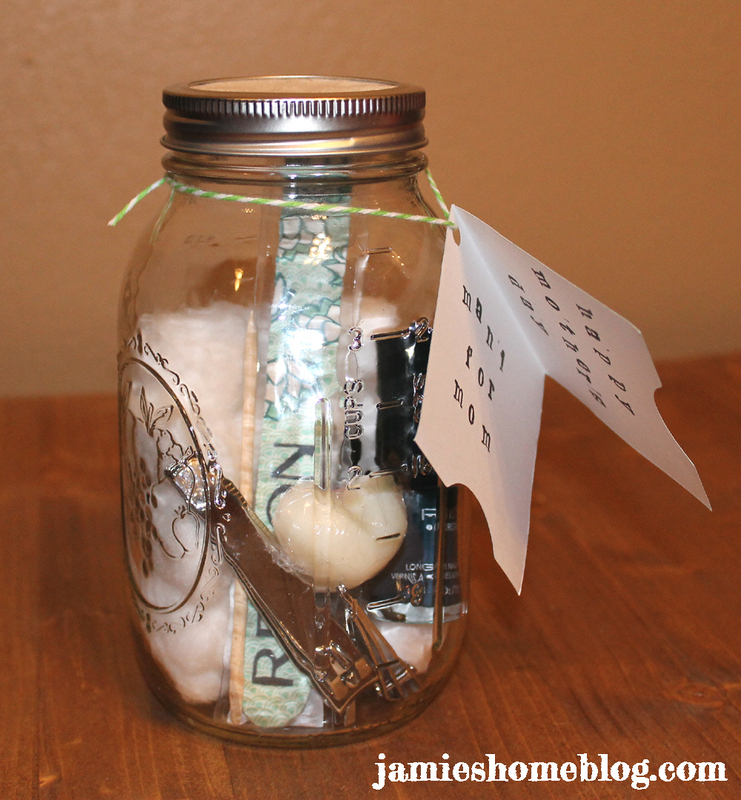 This entry was posted in Beauty, Gift, Holidays and tagged diy gifts, lotion bars, manicure jar, mason jar. Bookmark the permalink.